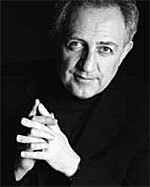 "Bramwell Tovey is a renaissance man! We had the pleasure of enjoying the first performance in the Vancouver Symphony Orchestra’s Kids Koncert series where Bramwell Tovey demonstrated his many talents. From acting abilities that would rival Hollywood stars, to singing chops that are more than stage-worthy, to say nothing of his instrument mastery, Vancouver is unbelievably lucky to have played host to Conductor Tovey for the past 13 years. The VSO Kids’ Koncerts are traditionally an hour in length. Bramwell Tovey’s concert ran about 20 minutes long, us parents sure enjoyed the extra musical indulgence! The Kids’ Koncerts are intended for children aged 4 – 11 years. We have been to two prior Kids’ Koncerts (Listening; Magnificent Mozart), they are fantastic musical experiences, incredibly kid-friendly and performances you don’t want to miss. Inspector Tovey Investigates Harmony commenced with a piece of music written by Bramwell Tovey himself. He claimed to have written the beautiful piece earlier that morning….if that is true, the rest of us should just throw up our hands, and bow down to his incredible talent. Amazing! The concert moved from one uplifting piece to the next. The soul-moving music was accompanied by fun musical education and great jokes!..."